From all accounts, the automotive industry is enthralled with the idea of self-driving cars. Every automaker, it seems, is working on the technology that removes the driver from the equation. We are told that autonomous vehicles hold the promise of ushering in a utopian travel experience, where every occupant of every vehicle may sit back, enjoy the ride, and stay glued to his or her smartphone. But are consumers -- the people the automotive industry needs to make this a reality -- really buying it? The evidence suggests not all of us are completely on board. The latest research from J.D. Power on the subject suggests growing consumer skepticism, which runs counter to the way things usually play out. "In most cases, as technology concepts get closer to becoming reality, consumer curiosity and acceptance increase," said Kristin Kolodge, executive director of driver interaction and HMI research at J.D. Power. "With autonomous vehicles, we see a pattern where trust drives interest in the technology and right now, the level of trust is declining." The research, however, shows that the younger you are, the more open you are to a computer driving your car. Older consumers, however, are increasingly skeptical. The insurance industry, after initially expressing enthusiasm, has also begun to raise some questions. The objective of autonomous technology is to remove human error, meaning fewer accidents. But Lockton, an insurance broker, suggests these vehicles are not without risk. 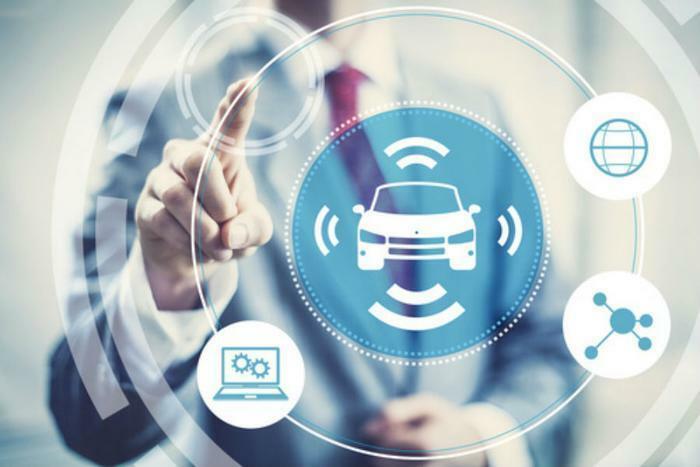 A Lockton white paper, Autonomous Vehicles: Risk Management Issues and Concerns, delves into some of those risks, including shifts in liability exposure, cybersecurity, and the impact it will have on underwriting commercial auto policies. The company says most cars on the road today have little or no automation. If they do, however, cybersecurity may be a concern. The report notes that today's hackers have the ability to break into some models of vehicles through the entertainment system and take control. But a bigger concern for consumers may be sharing the road with autonomous vehicles and the cost of buying one. Currently, Uber is operating a handful of driverless vehicles in Pittsburgh and Arizona with few problems. An Arizona accident involving a driverless car was found to be the fault of the driver in the other vehicle. But it also raises the issue of cars driven by humans sharing the road with vehicles piloted by computers. Because for the foreseeable future, most cars are going to have a human behind the wheel. That's because driverless cars are likely to be extremely expensive, at least for the first few years they come onto the market. Try pricing some of today's technology features on a new car, such as lane change warning, and you'll find it dramatically increases the price of a new car. It would stand to reason that a car that drives itself is going to have a huge price tag, perhaps well beyond the affordability range of the typical consumer. J.D. Power says 40% of Baby Boomers don't see any benefit to driverless cars. The firm predicts they'll change their minds as they get more comfortable with the technology.